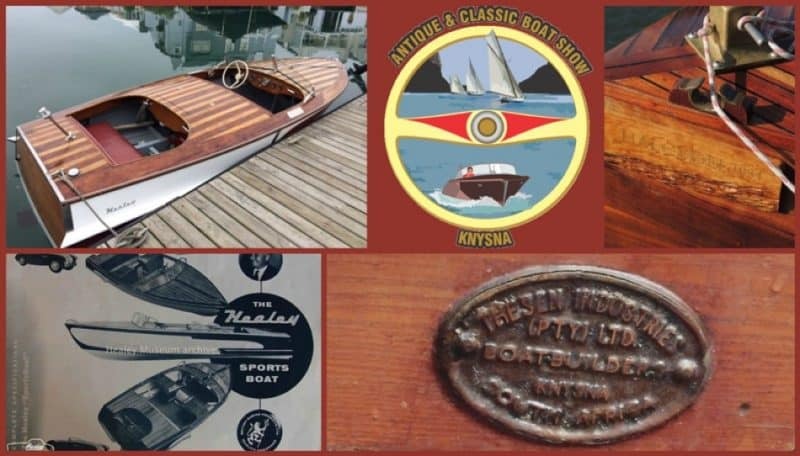 The 6th annual Antique & Classic Boat Show in Knysna is swiftly gliding towards us on the 6th of October 2018. 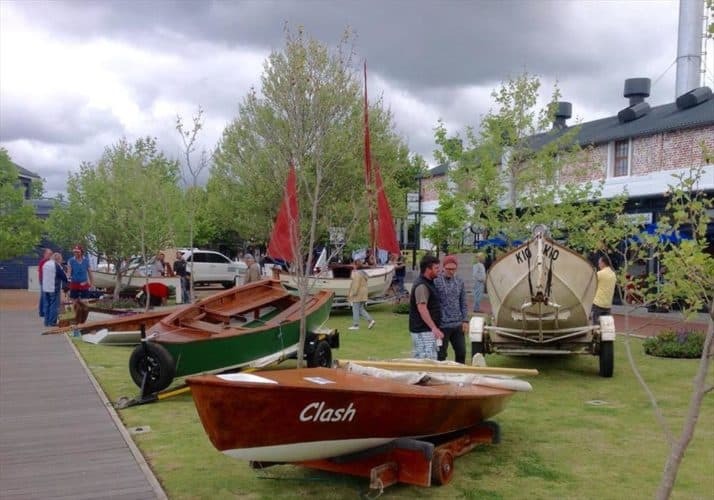 With a rich history of boat building, the show is an exciting and interesting event for all. The event will take place along the jetties and various lawns of Thesen Harbour Town on Saturday the 6th from 10:00 AM to 16:00 PM. Entry to the event is free and everyone is welcome. Thanks to the success of last year’s event, Metelerkamps have generously renewed their sponsorship for this year. Knysna has a longstanding boat-building heritage which began back in 1831 with the first boat, “Knysna”, built with wood from surrounding forests. The purpose of this twin-mast boat was to execute trade between the town of Knysna and Cape Town. The next notable maritime vessels to be built were the navy Fairmile patrol boats in the 1940’s. 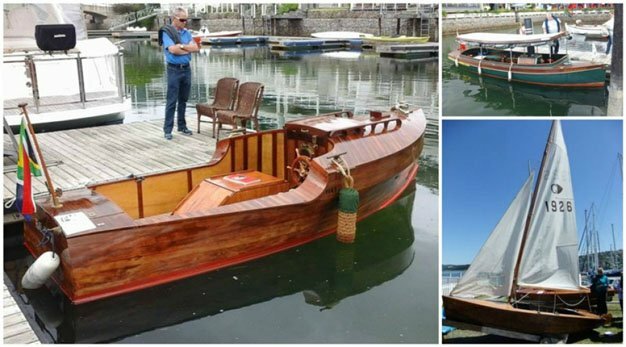 Although some of the classic boats fell prey to the Knysna fires, the ones that remain, and the ones undergoing restoration at the moment, will be on display. Proceeds from the day will be donated to the Knysna Basin Project team. This non-profit organisation conduct research to ensure the future conservation of the Knysna Estuary and its surrounding catchments. The group partake in ongoing scientific research and continuing education of those who depend on the estuary and its environment. Furthermore, the Knysna Basin Project work hand-in-hand with management authorities as well as other local groups to ensure the implementation of tangible management and conservation actions. Ideally timed with the Knysna Timber Festival – taking place from the 5th to the 7th of October 2018 – it’s bound to be a wonderful, woody weekend. Various boatbuilding talks and courses, as well as other exciting woodworking activities, are available at the Timber Festival. Consider combining the two for an immersive boating experience! 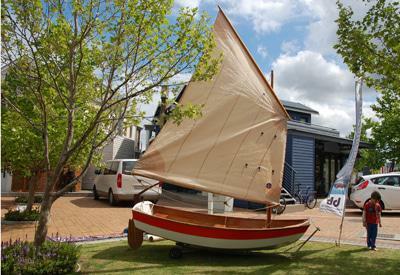 With some of these beautiful maritime masterpieces on our lawns, stop by the Turbine Hotel and Spa for lunch. If you’re visiting the area, be sure to check out our accommodation specials.